The Edge Security Platform is always watching. It never goes on break. Avoid the expense and human error of physical security guards and rely on the always-on, simple, and cost-effective alternative. 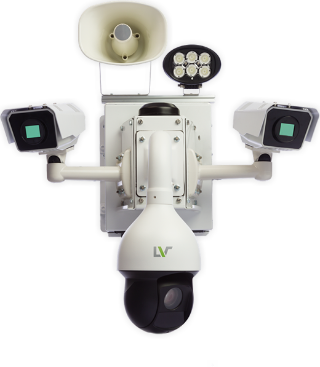 No other security surveillance and deterrence solution offers the same combination of advanced hardware, intelligent software, secure access anywhere, and professional maintenance — which makes LiveView Technologies a valuable partner for security services organizations looking to differentiate their businesses with uniquely capable and affordable video surveillance solutions. • See Live video streaming from anywhere. Our Mobile Jobsite Security cameras can help you detect, deter, and alert in the case of intruders on the construction site. 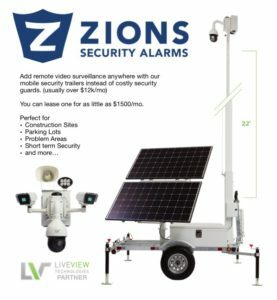 They include a PTZ Camera(Pan, Tilt, Zoom) with a cellular connection that can be powered with solar. Ask us about purchasing or renting one for your construction job today. Contact us about getting a demo today.